During a firefight in your sci-fi games, you need cover to avoid being riddled with bullets. What better way to add cover to your miniature games than with large cargo containers and various crates? Purchase a set of these card stock additions to your game and in no time you will have new terrain for your characters to hide behind. 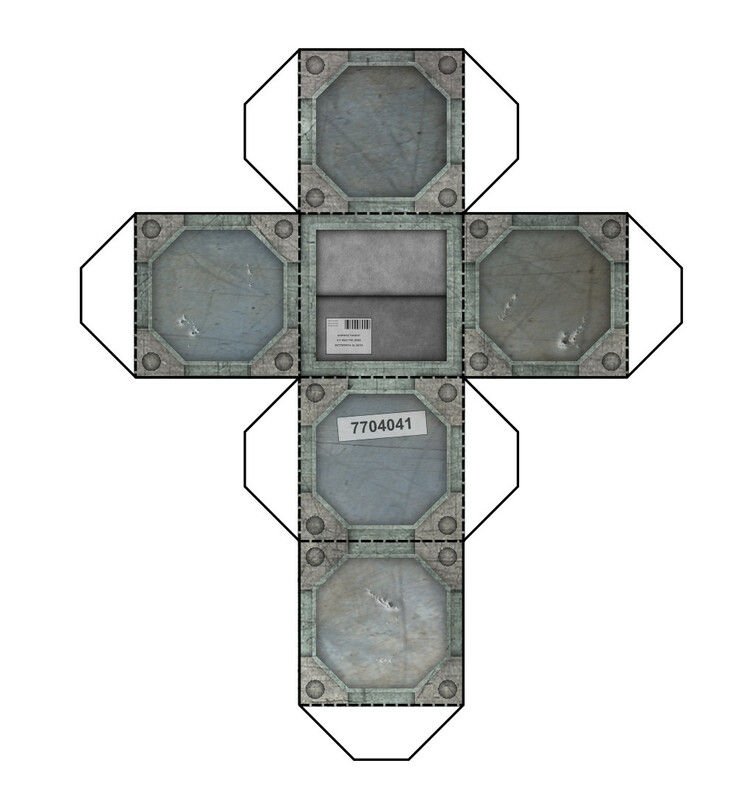 This product contains number of cargo containers and crates for your sci-fi tabletop miniatures game, all they need is a little cutting, folding and glue! 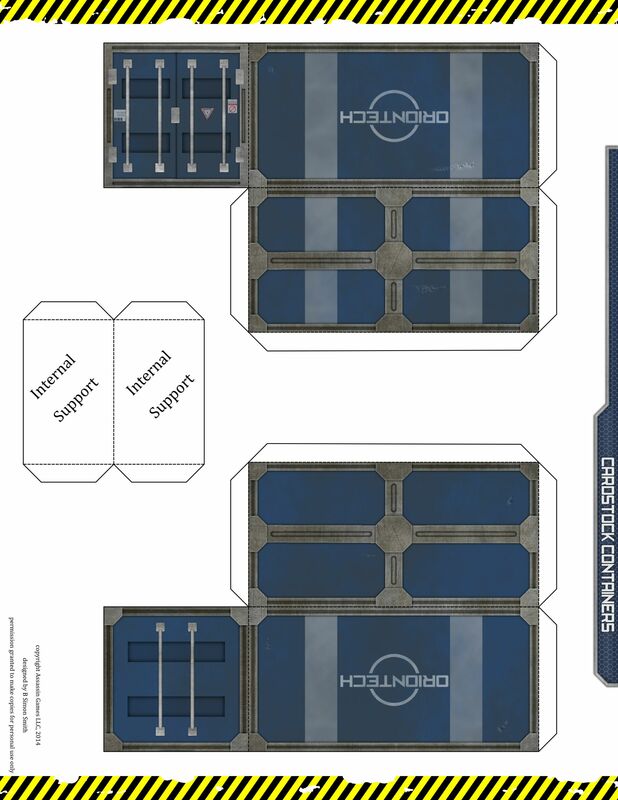 This set contains enough pages for 5x intermodal containers (each sporting the logo of a different fictional company), 4x large crates, and 16x small crates. All containers and crates are designed for 28mm miniatures.